Listening helps you tailor fit everything to what the customers want or need. Stop trying to sell, and start trying to help. Tenure in the real estate world is just a bunch of numbers. In a short span of time, some people can achieve what other people have worked a lifetime for. The power of now will take you places. Don't wait for opportunities to come knocking; seek them out, and pave your own destiny. You can be the success story people would want to share. 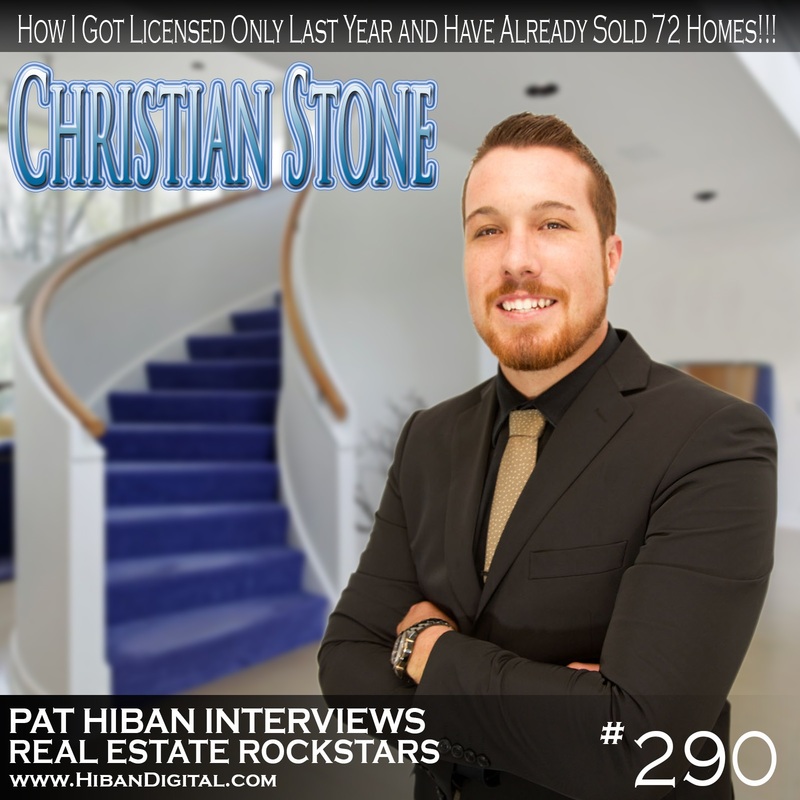 Jumping into his full-time real estate career in March of 2014 and believing in the power of the now business, Christian Stone sold 26 homes during his first eight months and has been on a roll since. What made him stand out from all the others is the fact that he works hard for his clients and makes everything as easy as possible for them and his firm belief in the power of now business. Stone’s approach is simple: He does everything he can to know the business, he listens to his clients and their needs, uses technology to deliver the messages he wants to get across and finally, he wants to get the right kind of exposure for his clients. Everything for him is focused on the customers, what they need and meeting their needs now. Christian Stone is focused on the clients and meeting their needs now. During our interview, I learned quite a few things from Stone. I learned that Stone wasn’t trying to sell; instead, he was trying to help. By listening to his customers, he is able to identify their needs and address them accordingly. I also learned that tenure has nothing to do with success. Someone once told me that a wise man learns from his mistakes. Apparently, a wiser man learns from the mistakes of others and does not repeat them. Considering his tenure in the real estate industry, Stone has already shown a lot of promise through what he has achieved in such a short time. A wise man learns from mistakes. A wiser man learns from others’ mistakes and doesn’t repeat them. I noticed how this young man created his own opportunity by believing in the now business, and finally — you don’t have to wait for opportunity to knock on your door. You can always venture out into the unknown right now and make your own destiny, your own story. One of the principles that Stone has found himself living by is basically finding the business and not waiting for business to come to him. This is also something that I believe in. Find the business. Don’t wait for it to come to you. In the short time that I spoke to him during the interview, I realized that we have a lot of things in common despite the difference in age. Stone is not in the habit of sitting idly by, waiting for opportunities to knock on his door. He is not fond of waiting for fate or destiny to give him his big break. Instead, Stone takes into consideration the millions of people that destiny has to take care of, and he is willing to give destiny a hand. Instead of waiting, he goes out on his own and finds opportunities and works with them. How does Stone do it? How does he do this? He sets up a solid schedule that he follows down to the last punctuation mark. When asked how he was able to accomplish so much in such a short span of time, Stone shared that as a new agent, you want “now” business — not leads that require follow-up. You don’t sit around the entire day calling the numbers and waiting for them to call back. You get up and go out and find your now business. How does Stone do that? He makes good with his vision to make sure families find the right home for them, mixed with the right lifestyle. He builds this genuine connection with people and the community, which is one of the major foundations of his team. Stone makes things easier for his customer. The convenience of being able to purchase a house without that much of an effort is a benefit some people would kill for — that’s the reason people ask for Stone. We have only touched the surface of this man’s life as he has only started his career in real estate, but one thing is for sure — great things can be expected from him. And when he comes back to do another interview with me, I know that there will be so many more nuggets of wisdom as each day Stone is growing and learning and ultimately selling more and more homes. To listen to Christian Stone’s interview, please go to www.hibandigital.com/christianstone.